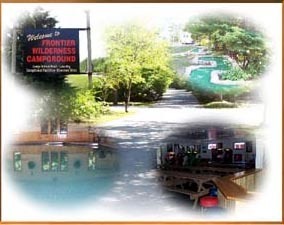 Welcome to Frontier Wilderness Campground in the center of beautiful Door County! Whether youre tenting, RVing or need a cabin we can accommodate your camping needs. Swim in our heated pool May 1 to Oct. 31. We offer volleyball, horseshoes, miniature golf, arcade game room and a play area designed for young children. The adult center boasts a big screen TV, pool table, reading area and more. Enjoy Door County beaches, light houses and golf courses. Family camping at its best! 2019 Rates: $39.95-$125 daily; $240-$750 weekly.